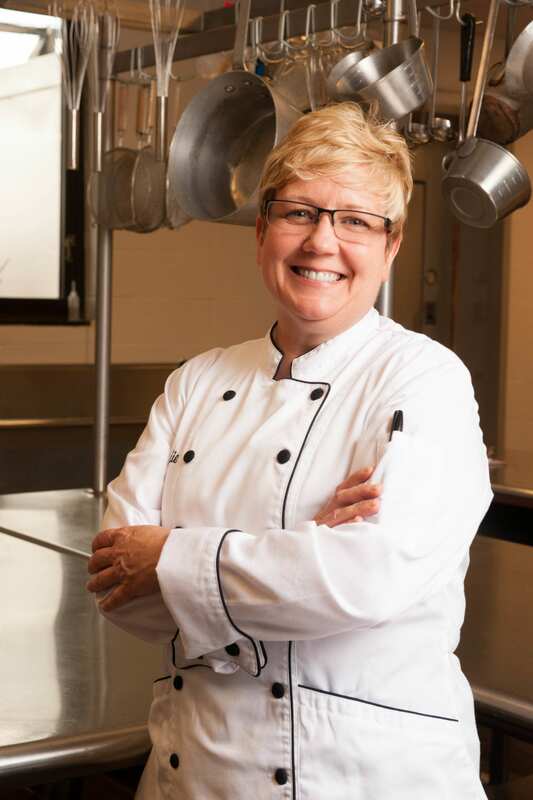 Chef Cyndie Story and the K-12 Team have a passion for bringing Kids, Food, and Fun together in a way that makes sense for families, schools, and communities. With over 100 years of combined experience working with school nutrition operations, Chef Cyndie’ s expert team knows what it is like to implement successful healthy eating initiatives for children and manage change with staff. With solid academic credentials in nutrition, culinary arts, and foodservice, Culinary Solutions develops research-based educational programs, evaluates initiatives, and designs adult education opportunities. The White House recognized Chef Cyndie, Chef Garrett, and Chef Carlin with a Champion of Change award in 2011 for their no-nonsense, balanced approach to nutrition and dedication to educating school nutrition professionals. Chef Garrett Berdan’s experience with Chefs Move to School is featured in First Lady Michelle Obama’s latest book American Grown. Chef Garrett Berdan received the Oregon Outstanding Dietitian of the Year award in 2015. Cathy Strohbehn, PhD, RD, CP-FS, was awarded the International Educator of the Year in 2010 by the National Sanitation Foundation. Never boring, always engaging. Chef Cyndie and the K-12 Team provide fun and informative hands-on and demonstration-style quantity & quality food production classes, food safety consultations and education; teach the leader course development, as well as custom training video productions. The Culinary Solutions Team truly inspires and motivates nutrition staff to try new recipes, encourage children to select fruits and vegetables, and make healthy lifestyle changes for themselves. For inspiration I certainly look at the restaurant industry to see what food today’s children are exposed to; TV, restaurants and supermarkets. If we are trying to get kids to consume healthier options, they need to be familiar with what we are serving. The goal is the food needs to look, smell and be appetizing to them and it is those foods that they will eat. I also get ideas by what is served in the home and this includes the supermarket, I look to see what our children see. Today’s kids love the Food Network and I can gain insight on what kids are “watching” even commercials and cartoons will give me ideas, whatever my customer is going to be exposed to. “Always, child nutrition is my business”! So I focus on taking a current trend and make it as true to the item as possibly to keep it healthy. “If there is an item that I can’t make healthy, we don’t have to serve it”. 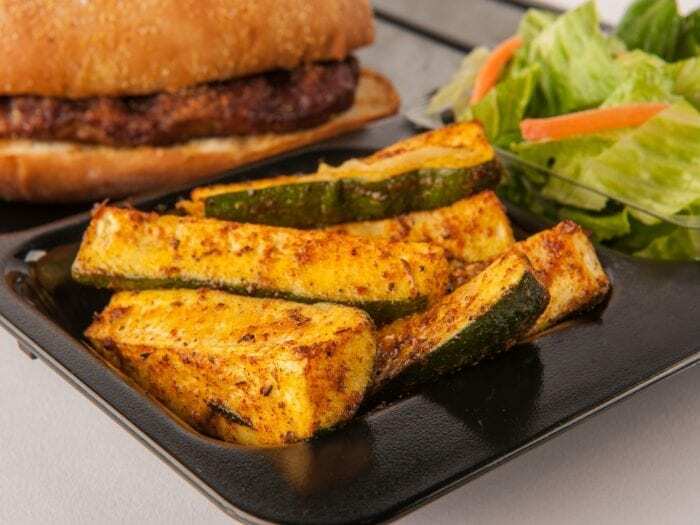 We don’t necessarily do everything that is being done, if you can’t make it healthy, appealing and a quality dish then don’t put it on your menu. Another words, “If you can’t do it well, then don’t do it”. 1. Clean labels – people including children want to know what they are eating and where it comes from. I believe that clean labeling is here to stay. 2. Farm to school movement – will continue to drive the trend to buy food locally. 3. Sriracha Hot/Texas Pete – “Hot is here to stay”. Children as young as elementary school shake hot sauce on their food and are even familiar with ghost peppers because of the influence of the Food Network. 4. Food safety – is on everybody’s radar, if you try to prepare something without gloves the consumer will ask for gloves. School nutrition has followed this federal requirement since 2004; we are way ahead of the game in the K-12 market. Recipe selection is a four step process in my mind; 1. Regional popularity, 2. “Schoolifiability”, 3. Quality Food Production and 4. Speed of Service. 2. 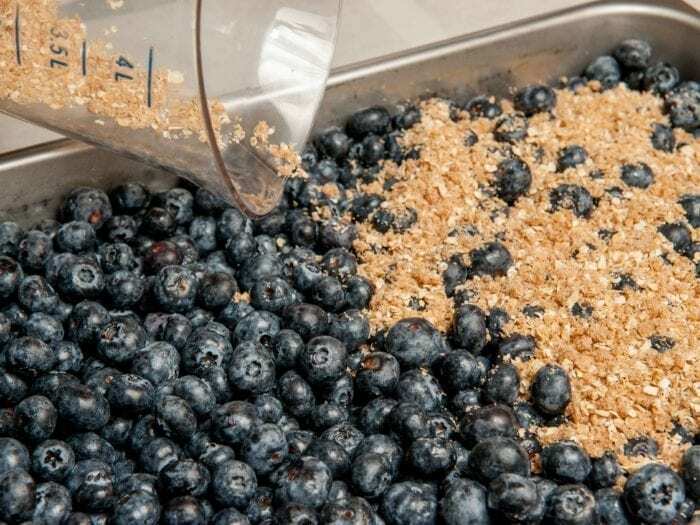 “Schoolifiability” – can we take that regional item, meet our nutritional guidelines, can we source the product(s) required to make the items. These items are key before we can consider the entrée Schoolifiable. 3. Quality Food Production – do we have the kitchen space, equipment and skilled staff, and can we make it in a timely manner, we need to decide if it is something that fits quantity cooking. I had 3 fabulous mentors; Gertrude Applebaum, Dot Pannell-Martin, and Dr. Julie Boettger. Through my whole career I have followed them and they have greatly influenced me both personally and professionally. Problem solving! When I walk into a kitchen I don’t feel like a chef, I teach and problem solve. Large batch speed scratch cooking. If I had one I must have overcome it. I have been very fortunate in my career. Hands down Buddakan in New York City, an Asian fusion of flavors; the most amazing food comes out of that kitchen. Zucchini Fire SticksRecipe selection is a four step process in my mind; 1. Regional popularity, 2. “Schoolifiability”, 3. Quality Food Production and 4. Speed of Service. 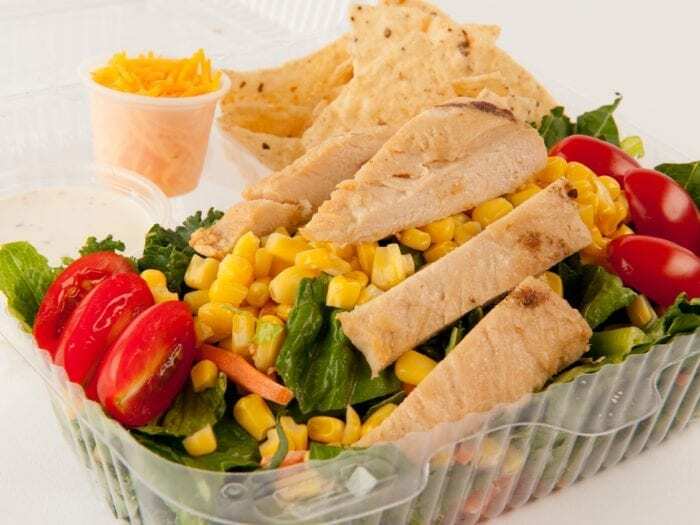 Chipotle Grilled Chicken SaladIf we are trying to get kids to consume healthier options, they need to be familiar with what we are serving. The goal is the food needs to look, smell and be appetizing to them and it is those foods that they will eat. Blueberry CrispToday’s kids love the Food Network and I can gain insight on what kids are “watching” even commercials and cartoons will give me ideas, whatever my customer is going to be exposed to.